While playing a blitz game a few weeks ago, I ran into the following position as White. I had arrived here with the idea of sacrificing a knight on h7, and sure enough the opportunity presented itself. An an uncharacteristically reflective mood after the game, I asked the computer the question - is this sac (which I played, and duly won the game) correct? Well, without further ado, it turns out 1. Nxh7 is, in fact, a good move in the position, although as it transpires it is little better than the more prosaic Nxf7, and that both (according to my abacus) lead to the same evaluation - equal! Though not by perpetual check. 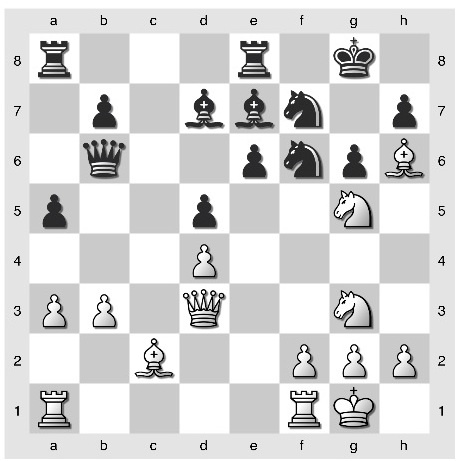 No, Black has a defense against Nxh7 that leads to an interesting position all its own. Can you find the defense? !